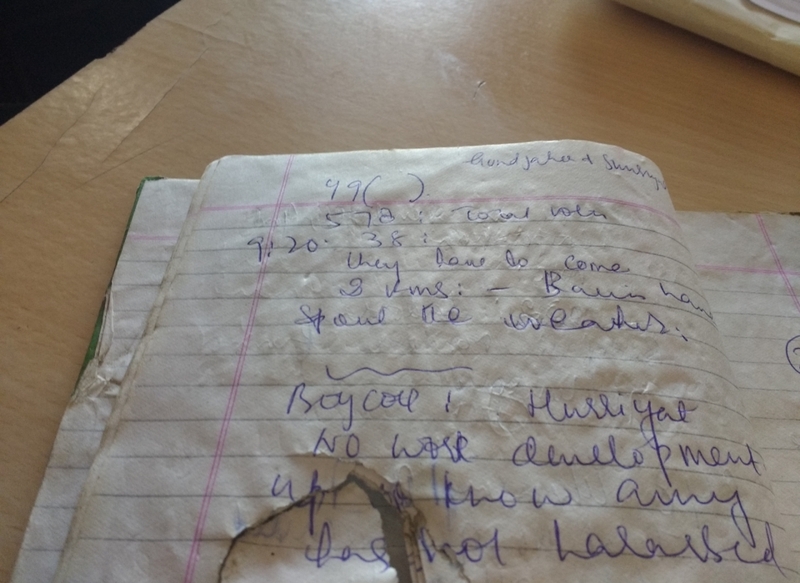 'Minors voted in 2004 elections in Kashmir' - A notebook entry by Aasiya Jeelani. It is a simple notebook, the kind journalists and activists would use on the field, before the advent of the voice recorder. Pockmarked with a perforation that goes right through its innards, this notebook is a wounded “survivor” of the IED blast on April 20, 2004, at Lolab, in which a Sumo cab was blown up. The driver of the vehicle, carrying members of an election monitoring team, Ghulam Nabi Shaikh was killed on the spot. Khurram Parvez, the activist, received horrific injuries. Two other volunteers were also hurt. 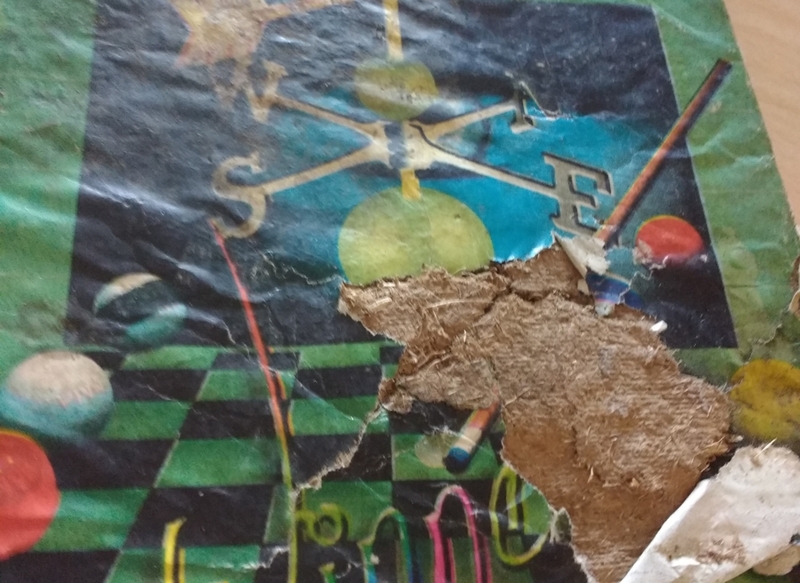 Tragically, Aasiya Jeelani, the owner of this notebook, grievously injured, succumbed to her injuries a few hours later. 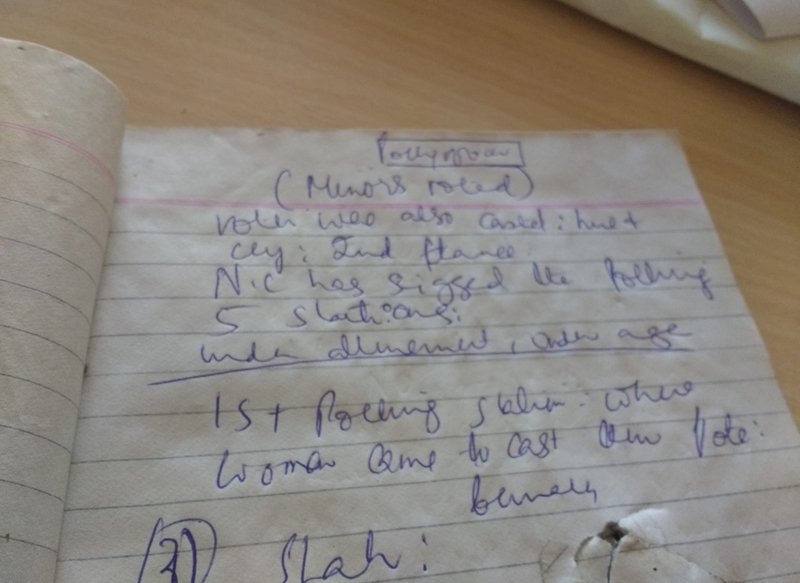 Gingerly I open this notebook, given to me by advocate Parvez Imroz of the Jammu Kashmir Coalition of Civil Society (JKCCS) who initiated the election monitoring exercise, anxious not to damage it further. On the first page, in Aasiya’s handwriting, is the dateline Lolab and the date but the month has been erroneously scribbled as March instead of April. As I go through jottings and observations made by this young woman activist of JKCCS, I realize the importance of this notebook as the witness, not just to the violence of the voting exercise, but to the “flawed conception” of the election process as a demonstration of democracy. The Indian state, anxious to showcase elections as part of a free frank exercise, had claimed the 2002 assembly elections, were a step forward in initiating the political process. But, JKCCS effectively repudiated that premise. Its crucial report highlighted how coercion, threats and retaliatory tactics by the intimidating deployment of army, paramilitary, police and other forces like the STF and SOG, could not legitimise the election process. The report illustrated how there is more to elections than mere voter turnout. It wondered if, it was at all possible, to claim elections as a democratic process when even the most fundamental right to live in dignity and exercise civil liberties had been denied to Kashmiris. Well received in international circles, a similar exercise was planned for the 2004 parliamentary elections, for which Aasiya was a team member. The premise of the monitoring remained the same: whether a formal procedure of election intrinsic to democracy could be imposed on a real and existing undemocratic structure. Recalls Imroz, “We asked for volunteers and some Indian groups joined us. We decided to set up a makeshift control room in our office in Srinagar.” He recalls how mobile phones had just come into use which would make it easier for various groups to coordinate and be in touch. It was at Shumrial village, after Kupwara, that the team began hearing accounts of intimidation. People had been threatened that if the indelible ink mark was not seen on the finger it would be chopped off. They also heard how people had been forced to vote because they had been threatened that the development plans of the village would otherwise be held in abeyance. It is interesting to note some of the jottings in Aasiya’s diary that bear witness to these threats and retaliation that Khurram talks about. Aasiya became visibly upset, notes Khurram. She felt deeply about this fraudulent exercise and the contrast between this village and the coercion in the other. Whilst getting into the car she asked if she could sit near the window and exchanged her seat with Khurram. Shortly after they set off, four army vehicles passed them on their way to Chandgam. Then a little later they had to wait as the army vehicles began to turn around. Barely a few minutes later a huge explosion took place. “The car went up in the air. I tried to open my eyes but they were filled with dust. When I could open them I saw blood spattered everywhere. Sadeeq and Andrabi who had been sitting at the back were trying to pull us out of the wreckage. I saw that my leg was stuck and a huge portion of bone was missing. I had to cradle my leg in my hands and try to lift it and hoist myself out of the car.” There were army personnel at the scene but they did not help. When some villagers gathered around the site, Andrabi and Sadiq began to shout angrily. Their reactions sprang from the fact that they believed the villagers had been participating in a fake election even as the team had risked all and people were now dying. Ghulam Nabi Shaikh had died on the spot. Aasiya was calling out loudly for her mother as others kept trying to reassure her. After about half an hour the ambulance from the Sogam PHC (Primary Health Centre) arrived. At the Sogam hospital, the doctor said that Aasiya would not perhaps survive. She was put into a Sumo that then sped towards Srinagar. But somewhere near Narbal, she breathed her last. After 17 days he was sent to Delhi for treatment of his leg injury. For Imroz, it was the longest day of his life. He shuttled between various hospitals, trying to handle the events of the ghastly day. Aasiya was lowered in her grave under grey skies and pouring rain. Her mother was tragically not at home. For many years it was believed that the explosion had been triggered by the militants. But, in 2006 the mysterious death of Captain Sumit Kohli moved the needle of suspicion in a totally new direction. Kohli was the whistle-blower who had raised concerns about a fake encounter of “militants” that took place on the same day as the blast and in the same region. A CID probe is taking place. The blast brought utter devastation for JKCCS and others. The election monitoring exercise had been abruptly halted on that day. There was tremendous fear but, later, with a firm resolve, monitoring efforts for the next phase of electioneering were resumed and the report published. It is dedicated to Aasiya and Ghulam Nabi Shaikh.